Young Epilepsy and Veriton Pharma Ltd (Veriton) have announced a key agreement, where the organisations will work in partnership to deliver the ‘Rules 4 Schools” element of the charity’s newly launched ‘#InTheMoment’ initiative. Through this policy influencing initiative, Young Epilepsy is looking to break down the obstacles to opportunity for the 55,800 school aged children (5-18 years) with epilepsy in the UK1. Starting with the ‘Rules 4 Schools’ campaign, the key aim for the charity, supported by Veriton, is to challenge current thinking and encourage systemic change in priority areas. Since 2014, all state schools in England are legally required to have a policy on supporting children with medical conditions such as epilepsy. This means that all children with epilepsy should have an Individual Healthcare Plan (IHP) which sets out essential information such as how the condition affects them and what to do in an emergency. However, Young Epilepsy believe many schools have some way to go in adequately supporting children with epilepsy. Schools need to make sure that children with epilepsy have the support they need to fulfil their potential in an inclusive and safe environment. In a survey2 we carried out in 2017, we found that 1 in 3 (36%) of young people with epilepsy still don’t have an IHP at school and only 51% of families surveyed said that school staff had been trained to support a young person with epilepsy. This needs to be dramatically improved and we think the ‘Rules 4 Schools’ can help to achieve this. 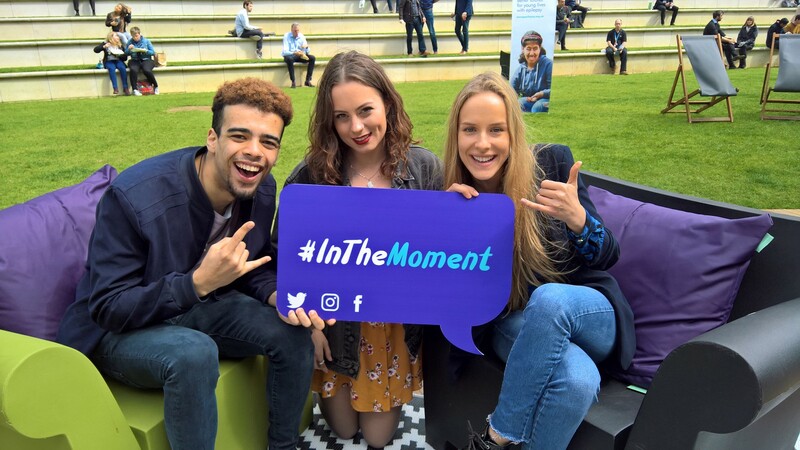 We are delighted to be working in partnership with Veriton on this critically important campaign and we really look forward to making a difference to as many young people with epilepsy as possible through the #InTheMoment – Rules 4 Schools initiative. Young Epilepsy is the only national charity with the sole purpose of supporting children and young people aged under 25 with epilepsy and associated conditions, as well as their families. The charity has been improving the lives of children and young people living with epilepsy and related neurological conditions for over 120 years with the aim of enabling them to fulfil their potential and ensure they have the best quality of life. Currently in the UK, there are around 112,000 young people with epilepsy of which 55,800 are school aged children (5-18 years)1.